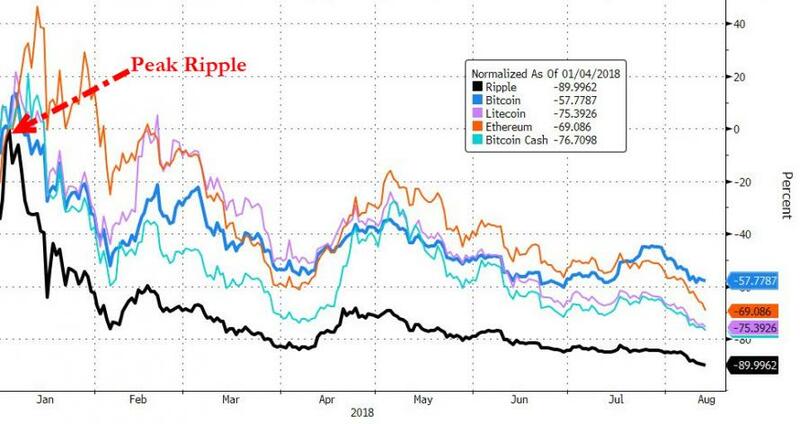 Ripple, the number three cryptocurrency is down 89% from the top, Ethereum 76%, Bitcoin 67%. The cryptocurrency bubble is unwinding rapidly from the bottom up. Bitcoin is holding up the best. Here's a set of images of the three leading cryptos. I created the charts at approximately 1:00 PM on August 11. These charts show how bubbles unwind. The strongest cryptos (or stocks) decline the slowest and bounce more frequently. 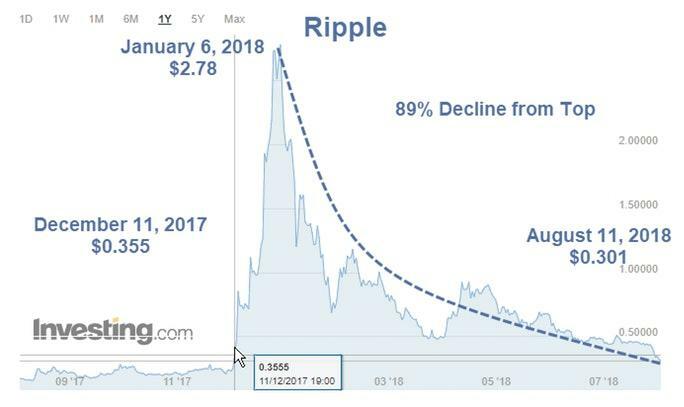 In about a year, In just over a year, Ripple rose 683%. That gain is now a loss. 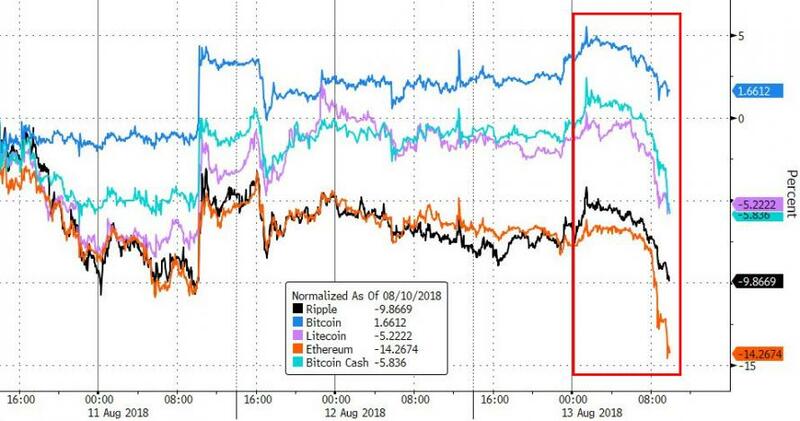 Fortunes have been made (and lost) on cryptos. Bitcoin once traded for pennies. That's the first-mover early-adopter advantage. 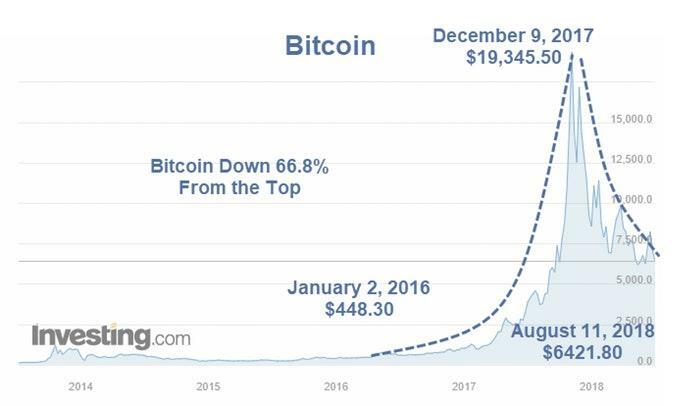 If one bought Bitcoin as late as January 2016 in the $400 range, a fortune could have been made. One could have had Bitcoin in the $800 range in January of 2017. 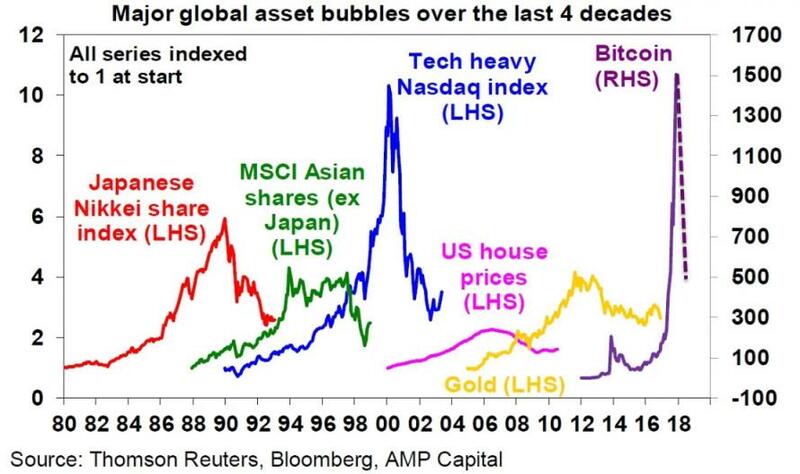 By December of 2017, the bubbles were near peak across the board. Mining costs are such that it is no longer worth it to mine Ethereum. On March 19, Tom's Hardware reported Profits Are Drying Up For Ethereum Miners. At that time, one might make $28 a week mining. That factors in electricity costs but not the cost of the hardware. 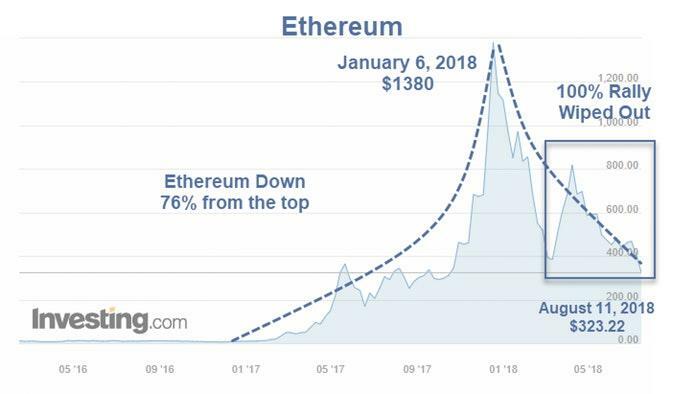 Tom's Hardware commented "The profitability for Ethereum mining is drying up, but don’t expect to see graphics cards drop in price any time soon. Ethereum isn’t the only GPU-mineable coin, and most miners will switch to something more profitable instead of selling their rigs. Even if miners stopped buying graphics cards in massive quantities--which they won’t--it will take a while for supply chains to stabilize." 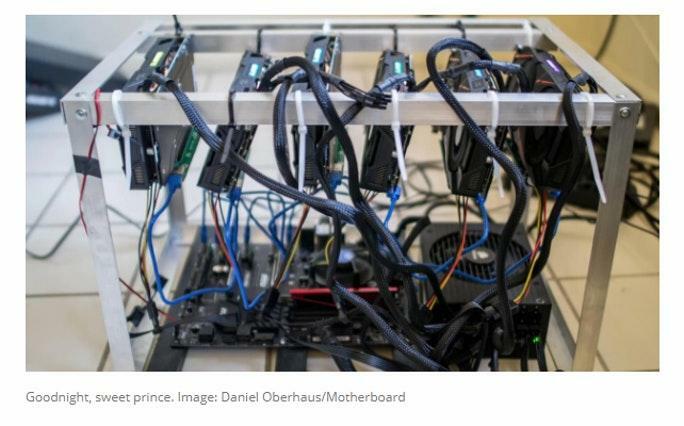 "Building an Ethereum mining rig hasn’t been worth it for months, and soon they will be completely obsolete." Some snips are well worth reading. Many readers reached out with technical questions about how to assemble the parts of their rig and I was happy to oblige them. Others reached out asking if I thought it was a good idea for them to build a mining rig. I usually told them ‘probably not,’ if for no other reason than the graphics cards that power the rigs were impossible to find or prohibitively expensive. When I build my mining rig, I expected it to take about 6 months to recover the cost of the rig (about $2,000), so long as the price of ether stayed around $250. As it turned out, the price of ether has kept rising, so I was able to break even on my mining rig within about 5 months. Building the same type of rig today would probably require a larger up-front investment since the scarcity of GPUs has caused their price to almost double. Now, just the six GPUs for this type of rig might cost you close to $2,000 (if you can find them), not to mention another $300-$500 for the motherboard, CPU, RAM and power supply. Even with the price of an ether token sitting at well over $400, it would likely take 7-8 months to hit return on investment on this type of rig. If ether drops to below $400, it could take a year or more to hit ROI. Plus, a year from now it’s likely no one will be mining ether at all. No one will be mining Ethereum! Of course, that is just Motherboard's opinion. People may keep mining Ethereum at a loss, hoping for a rebound in price. Ethereum may also change its mining algorithm. But ultimately, if no one cares to mine Ethereum, will it be worth anything at all? How Much Electricity Does Bitcoin Use? 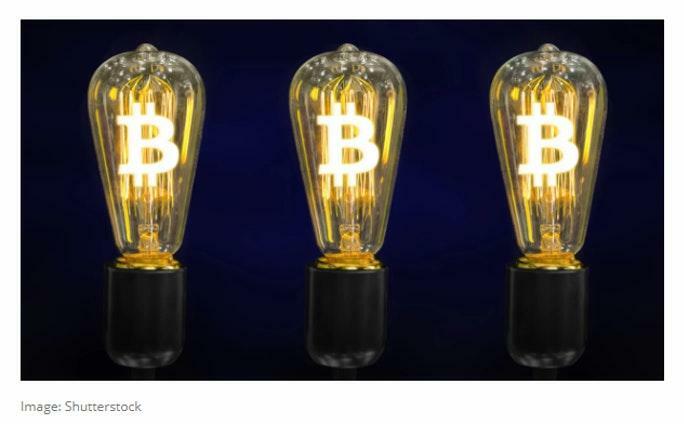 Motherboard explains Nobody Knows Exactly How Much Energy Bitcoin Is Using. By the end of this year, Bitcoin may account for a whopping half of a percent of the world’s total energy demand. It doesn’t sound like much, but that is roughly equivalent to the energy needs of Austria, a country of nearly nine million people. This sobering prediction was made by financial economist Alex de Vries and published on Wednesday in Joule, marking the first time that the energy consumption of Bitcoin has been quantified in a peer-reviewed journal. Still, de Vries is the first to acknowledge that his estimates are just that—estimates. It may be impossible to ever know the exact energy consumption of the Bitcoin network, but upper and lower bounds of its energy consumption can be reliably calculated using economic models. Improving the accuracy of these models, however, requires a lot of information that is simply not currently available in the largely unregulated cryptocurrency space, de Vries said. There’s also technical solutions like the Lightning Network on the way, which processes transactions off of the main Bitcoin blockchain and would thus significantly lower the energy cost per Bitcoin transaction. Another alternative is to use wind power and other forms of clean energy for Bitcoin mines. This post keeps going deeper and deeper down the alleged solution rabbit hole, but please consider WTF Is the Lightning Network and Will It Save Bitcoin? Even though a solution for Bitcoin is desperately needed, “If you build it, they will come,” clearly doesn’t apply here. Will Bitcoin Mining Be Worth It? Some Bitcoin fanatics tell me that Bitcoin cannot drop below mining costs. Why not? Accounting for hardware costs, Ethereum did. Other Bitcoin fanatics tell me that Bitcoin can adjust its algorithm to lower mining costs if deemed necessary. In that scenario, why can't the price of Bitcoin keep falling? The early adopters made a fortune, but as Ripple shows, those fortunes can easily vanish.